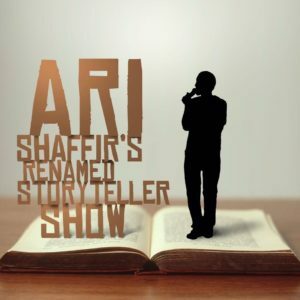 Through long-form storytelling, Ari Shaffir, Big Jay Oakerson, Joe List, Gary Vider, and Sal Vulcano share fascinating, hilarious, and scintillating true stories. Described by LA Weekly as a “gifted, unyielding comic,” Shaffir grew up as an Orthodox Jew, spent two years studying in a yeshiva in Israel, and came back to America to lose his religion and find comedy. Since then, Shaffir created and hosted the storytelling show “This is Not Happening,” which aired on Comedy Central for three seasons. As an actor, podcaster, writer, and producer, he is host of the “Skeptic Tank” podcast, the co-host of “Punch Drunk Sports,” and is a regular guest on “The Joe Rogan Experience.” In 2016, he co-starred with Zach Galifianakis and Jon Hamm in Keeping Up With The Joneses.